Pastor Chris announced October to the Month of Instruction' at a recent global communion. 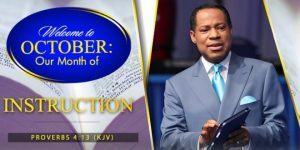 At the recent October Global Communion service, Pastor Chris brought his congregation to the pinnacle of understanding when he conveyed his divine direction and affirmed the month of October to be “The Month of Instruction.” The man of God explained to his global congregation what this declaration meant and how this would affect them in the coming month. 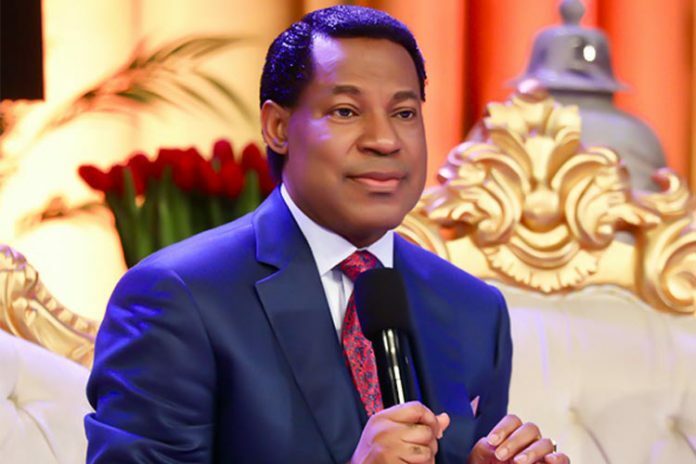 As Pastor Chris issued the prophetic word for the month, it was accompanied with a number of scriptures, Proverbs 4:13, Proverbs 6:23 and Proverbs 10:17. He furthered explained the concept of instruction revealed what lay in the scriptures and read 2 Timothy 3:16-17 to the his congregation. Instruction is the act of imparting on knowledge, so that one may perform an act with knowledge, expertise, dedication and discipline. This transmission of information is the ability to produce solutions. When we talk about instruction, we are referring to the transmission of knowledge from God to man. The Lord is our guide and He is instructing us from moment to moment. The instruction of God’s word is the knowledge of living a life that is righteous and correct. His instruction is a doctrine for life. This means that all of what we do is to be done with immense sense of purpose, for He is our instructor. If we want to perform the acts that God commands us to, we must be aware of what we are told. Therefore, we are reminded of this in October- The Month of Instruction. To fully adhere to this message, two kinds of prayer are required. In order to practice spiritual discipline, you need to set the time aside to talk to God, even if you are not prepared for Him. He may not respond to you, but you must prepare yourself. This is about communicating to God with your heart. This is what religious life is about. At such times you’d need to write the revelations down as they come from God. 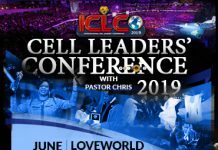 Previous articleThe IPPC Event: Pastor Chris and His Impactful Week of Inspirational Conferences.